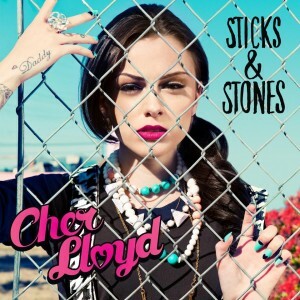 Sony Music has moments ago lifted the cover on the upcoming Australian edition of Cher Lloyd’s album ‘Sticks & Stones’. As you can see from the image (above), it’s a lot different to the British version, which was released last year. But its tracklisting (and cover) is expected to mirror that of the upcoming US version, also due for release in October, with new tracks and fresh collaborations. ‘Sticks & Stones’ will be released in Australia on Friday October 05. Hope she tramples all over Cheryl Cole’s crack at the charts!